Poland is one of the world’s most impressive growth stories. In September 2018, Poland was officially declared the first country from the former Soviet bloc to reach developed market status by FTSE. Poland ranks first for macroeconomic stability in the World Economic Forum’s Global Competitiveness Report 2018, and has been identified as one of North-eastern Europe’s rising stars. As the country marks 100 years of independence in November 2018, there are reasons to celebrate. Polish GDP has more than doubled since the early`1990s. Riding on the strength of painful reforms and accession to the European Union in 2004, Poland has experienced uninterrupted growth for more than a quarter of a century, with substantial figures even during the economic crisis. Here are five reasons why we believe Poland will be a market to watch in the years to come. During the transition from socialism, Poland introduced market-oriented reforms that helped the private sector grow. Together with a fast-growing domestic market, these reforms ensured that Poland was one of the few countries not to be affected by the 2008 recession. European integration contributed to a great extent as well. Larger inflows of funds from the EU helped Poland to create strong infrastructure - such as highways - which helped the country become more business-friendly. Innovative Polish industries have also made good use of public funds aimed at programmes for economic development, and innovation and research activities among small and medium enterprises. The National Center for Research and Development is among the biggest player in creating market for innovations. Its new initiative, a fund of funds, intends to create around dozen Corporate Venture Capital (CVC) and Venture Capital (VC) funds which will not only invest €200 million of public money in small and medium technology companies, but also verify startups ideas in involved corporations. When in 2011, then-Prime Minister Donald Tusk presented President Obama with the collector's edition of CD Projekt’s 'The Witcher 2: Assassins of Kings' to commemorate his visit, nobody associated computer games with Poland. However, since then, CD Projekt has created a new identity for the country as a computer gaming hub. By the end of 2017, CD Projekt’s video game ‘The Witcher 3: Wild Hunt’ had sold over 33 million copies. 'The Witcher', 'The Witcher 2: Assassins of Kings' and 'The Witcher 3: Wild Hunt' made it to the top of the world’s best-seller lists. CD Projekt has challenged every dominant logic in the industry. It created its own online content distribution platform, and it created a retail ecosystem for its games. Today, Poland has such an obsessive gaming culture that when CD Projekt’s upcoming Cyberpunk game handle just tweeted ‘BEEP’, the company’s stock price rose by 6%. Poland has an excellent and active start-up ecosystem. Ninety-six per cent of Poland’s 1.7 million registered businesses have fewer than nine employees - the highest proportion in Europe, where the average is 92%. The ecosystem particularly flourished following the sale of e-commerce platform Allegro for $3.25 billion in 2016. This success has inspired a new generation of entrepreneurs, who have created fast-growing and successful technology companies, including Booksy, Codewise, Docplanner, Pracuj and NetGuru, to name a few. A whole range of ecosystem developers, such as Business Link and Daftcode, are helping aspiring entrepreneurs with co-working spaces and support to build businesses. In addition, agencies such as PFR Ventures have started, with a sizable ‘fund of funds’ to boost entrepreneurship in a big way. Poland has one of the world’s lowest unemployment rates. It ranks third for best computer programming talent, ahead of the US and India, in a ranking published by website HackerRank. Poland has many technical universities that have been cranking out talented engineers for years. Test scores for the Programme for International Student Assessment (PISA) show that Poland’s increase in the quality of its education was one of the fastest among OECD countries in the last decade. This has provided new talent with an improved set of skills to move from farms to factories. The rise in the supply of graduates and skilled labour was in line with the demands of the market as it grew in size and complexity; returns to education at secondary and tertiary levels were stable over time. Combined with a strong flow of foreign investment, these circumstances have made it easier for talented people to conceive of and launch start-ups in a variety of disciplines, one being 3D printing. Big Polish companies have come together and set a great example for all businesses in emerging countries where systems are not yet in place, showing them how they need to collaborate to shape their collective future. In order to develop the best payment technology, six of Poland’s major banks came together to create BLIK, a mobile payment system and scheme. It was one of the first on the European market, with a unique model of cooperation between banks, payment acquirers and merchants, all supported by innovative information technology, architecture and design. BLIK was born in spite of competition. Rather than use a card or hand over cash for a transaction, users simply enter a six-digit code into their phone app. Its features are simplicity, safety and speed. With BLIK it is possible to pay in both a traditional shop or online without entering any sensitive data, such as your name or card number. But it’s not only payments that are possible with BLIK - you can also withdraw cash from an ATM. It has become the first non-card payment scheme. All these successes come with their own challenges. 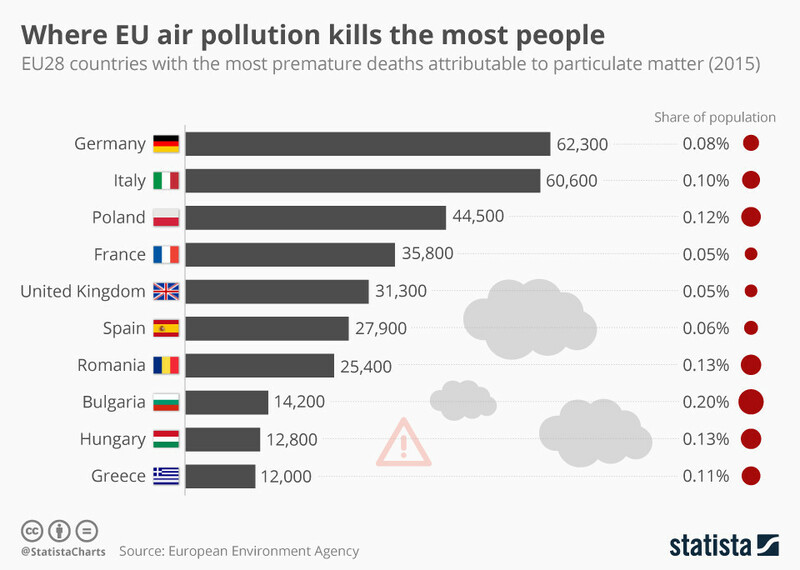 Poland's air pollution, a result of a toxic mix of outdated heating systems, heavy traffic and the economy's dependence on coal, is among the worst in Europe. The country is home to 33 of the continent's 50 most polluted cities, according to a 2016 report by the World Health Organisation. A shortage of skilled labor could cause a spike in salaries and put brakes on the thriving start-up ecosystem, which could then lose talent to multinational companies. Building competitive advantage based on innovation calls for moving up the value chain. Poland needs to showcase deeper value creation through innovation, R&D and design content, instead of providing simpler manufacturing and service capabilities. But we believe that Poland has the resilience, drive and ambition to achieve the desired change and transform itself into an innovation economy.